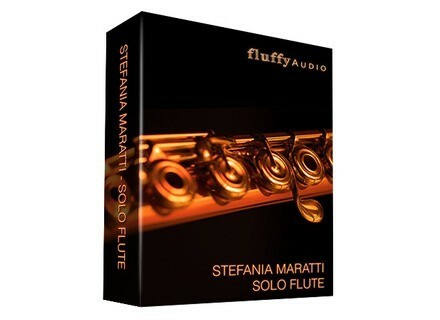 Stefania Maratti - Solo Flute, Virtual flute from Fluffy Audio in the Woodwinds series. According to Fluffy Audio, this sound library recorded at the Teatro delle Voci in Treviso features three full octaves, 3 dynamic layers for sustained articulations, 3 true legato articulations, 4 Round Robins for short articulations like Staccato. There’s also a wide selections of effects like Flutter, Air Noises, Tongue Rams, Singed articulations. 3 microphones positions (Close, Mid and Far) can also be mixed so as to shape your own sound, and the script features Fluffy's new Articulations Editor which is sait to allow to precisely control each of the articulations included and create your own ones. Reportedly, the sampling process was made using Schoeps microphones, Neve and Millennia Media preamps. 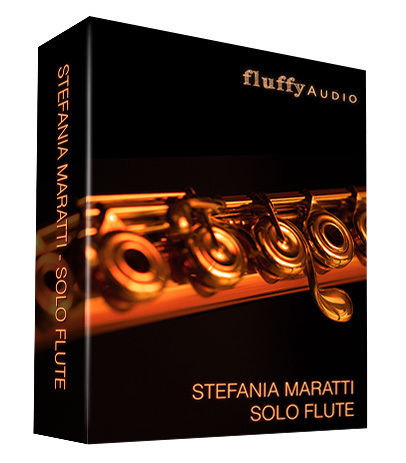 Fluffy Audio's Stefania Maratti - Solo Flute is currently available for the introductory price of €79/$79 instead of €109/$109. More details at Fluffy Audio's website. Audiority releases TS-1 Transient Shaper's v1.1 Audiority has updated its TS-1 Transient Shaper plugin to v1.1, adding a new mode on the way. Hornet Plugins introduce AnalogStage Hornet Plugins has just released AnalogStage, a(nother) plugin designed to bring an analog sound to your digital mixes. Wavesfactory releases Demonic Virtuoso Wavesfactory's recently announced Demonic Virtuoso harpsichord sound library for Kontakt is now available.